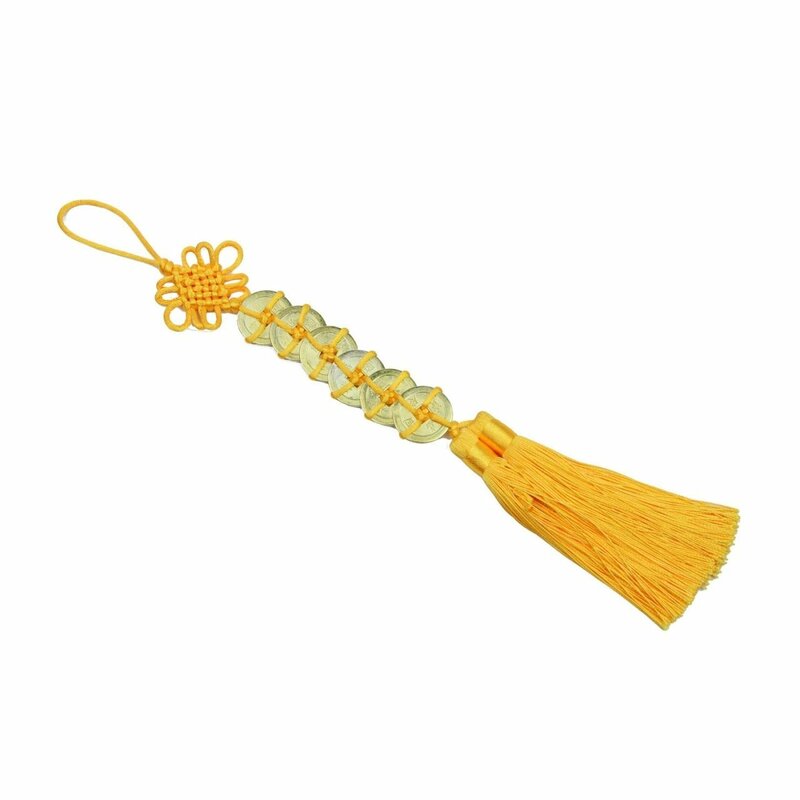 Glistening in ivory white and sparkling with gold detailing, these 6 Emperor Gold Coins are embellished with a beautiful gold tassel and golden mystic knot on the top. Emperor coins are powerful enhancers for fortune, wealth luck, and metal chi. To enhance wealth luck, place this string of coins on your main door or under the floor mat of your business for prosperity and business luck. To strengthen metal chi, place this string of emperor coins underneath your pillow. The overall length of the whole charm is approx. 13.5". Each of coins is approx. 1.1" in diameter.